There is a growing need for cost effective dishwasher repair service that can be provided quickly and efficiently. At Maple Ridge Appliances Repair we are working diligently to satisfy that demand by consistently exceeding our customers’ expectations. We are certified to service dishwashers of all makes and models. We offer professional results through customer service that is as friendly as it is effective. The successful completion of any appliance repair project requires skill, training and experience. We are proud to display these attributes. Our professional technicians will respond rapidly to provide Dishwasher Repair in Maple Ridge, BC. We know that our customers can wash dishes by hand if they need to when their dishwashing unit stops working, but it requires more time out of the already busy and hectic day. The faster we can repair the appliance, the faster it can be utilized proficiently for our customers again. 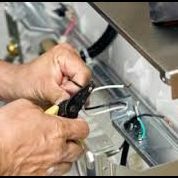 Whether we are repairing the dish machine or providing initial dishwasher installation, we do it quickly and accurately. If you are going to be a dishwasher service expert you really need to know the appliance inside and out and we do. We have developed highly effective dishwasher troubleshooting skills over the years and we put them to good use for our customers. Normally we can draw an accurate indication of the problem through the information provided by the customer. If the unit is leaking we know where to look. If they tell us no water is coming out of the sprayers we know where to look. We will locate the problem fast and provide the proper solution affordably. Our Appliances Repair Maple Ridge team realized a long time ago that many dishwashing problems could be avoided with effective dishwasher maintenance service. By maintaining the unit efficiently problems can be found and resolved before it causes a breakdown and a service call and repair bill.